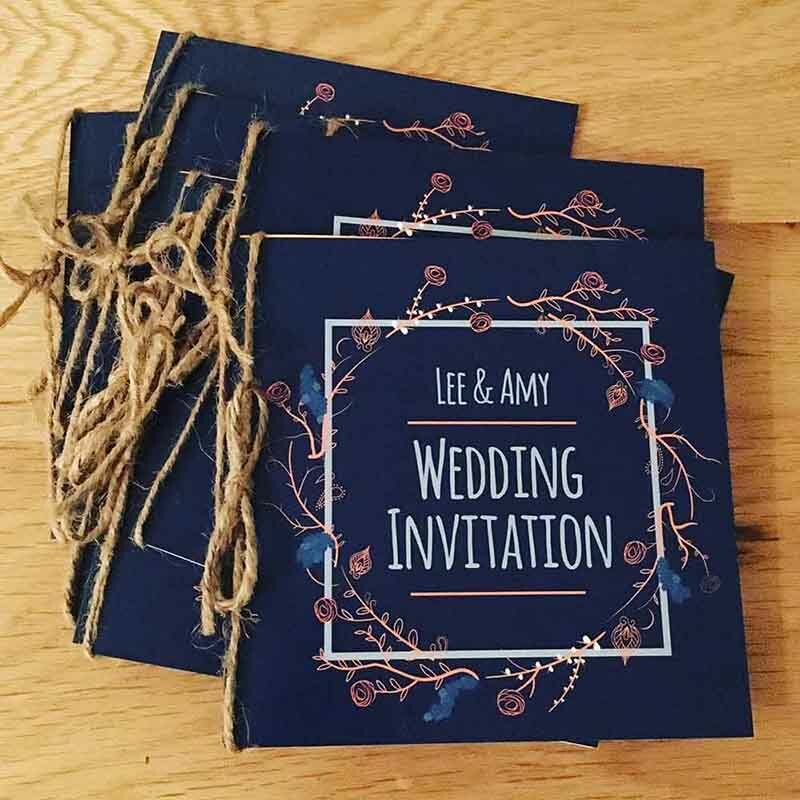 Today our very own digital marketing executive, Amy is getting married and, as well as wishing her all the best on her wedding day, we couldn’t resist sharing some of her amazing wedding stationery. Making her own invites, save the dates, RSVP and gift cards was made easy as Amy focused on creating just one design using the WePrint software and then applied the design to different products. This meant she could simply edit the text and designs for each individual item. 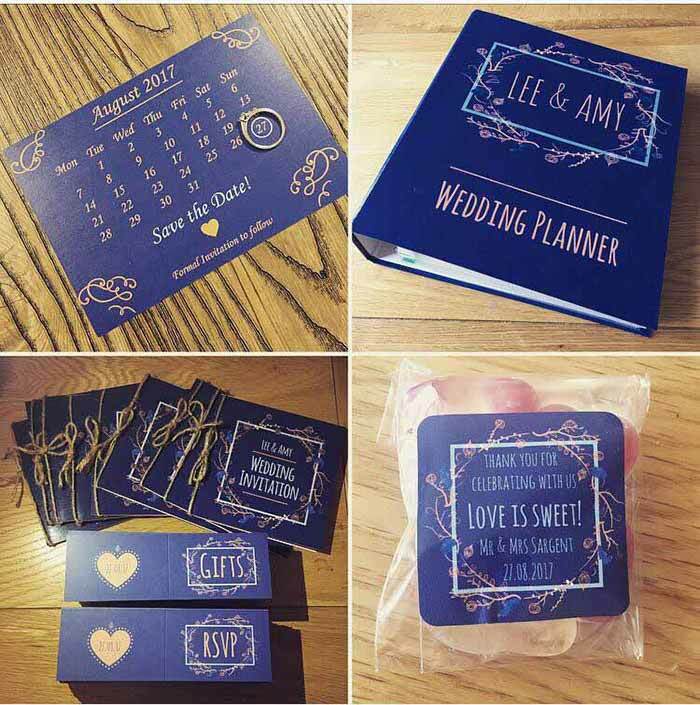 Being known for her organisation, Amy also created a personalised wedding planning binder so she could keep details of the big day in one place. Once the stationery was printed, Amy added her own handmade flair to pull everything together. We love how it all looks. Amy is a creative person and wanted full control over the wedding look-and-feel rather than ask someone else. We particularly love these labels for sealing the favours. 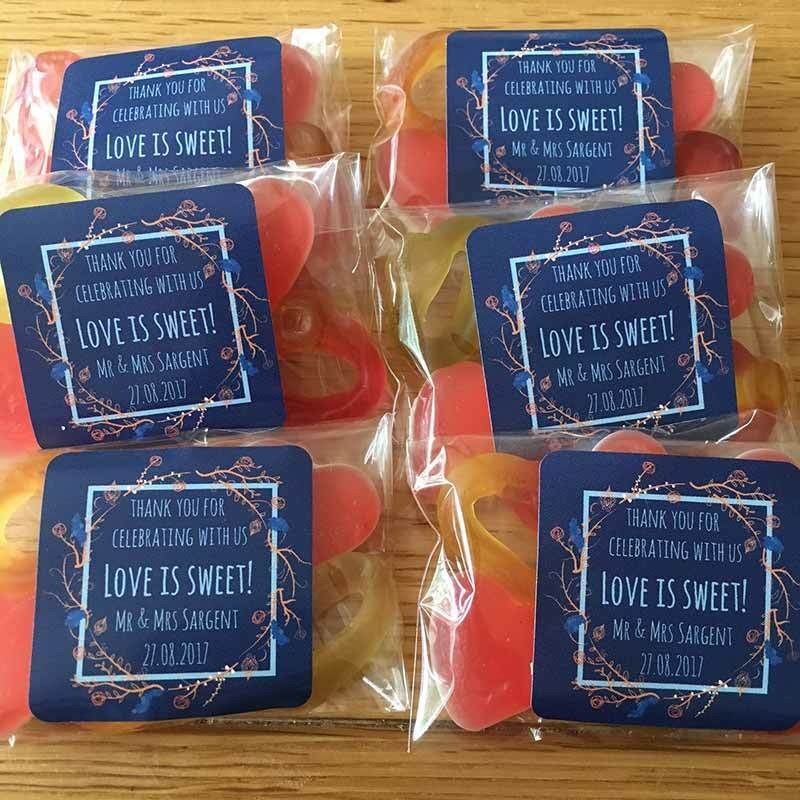 Lee and Amy chose to give Haribo hearts and rings as a thank you gift for each guest and, as they are Lee’s favourite sweets, this has added a personal touch to the day. You can customise labels, cards, binders and other branded materials for your own events or small business needs using our software. We’ve got lots of templates ready for you to edit or you can design your own from scratch or upload an existing design or logo. We love seeing your designs and products which you have created using WePrint so make sure you share on Instagram and Twitter with @UKAvery using #WePrintStories.